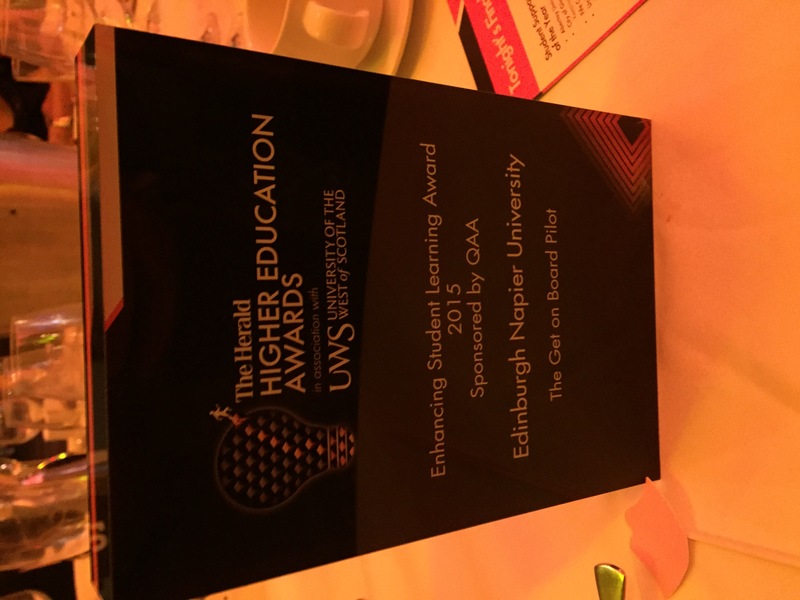 Launched with the aim of placing Edinburgh Napier students on the boards of local charities, voluntary sector organisations or public bodies, where they could network with professionals and help make decisions which impact on the community. Get on Board helps Napier deliver its Strategy 2020 vision to be ‘an enterprising and innovative community renowned internationally, with an unrivalled student learning experience’. To do this the Principal, Andrea Nolan CBE seeks to cultivate a “University deeply connected to our communities and in tune with our time”. One of the challenges faced by our communities is the need to address the shortfall in both the numbers and diversity of board membership within Scotland. 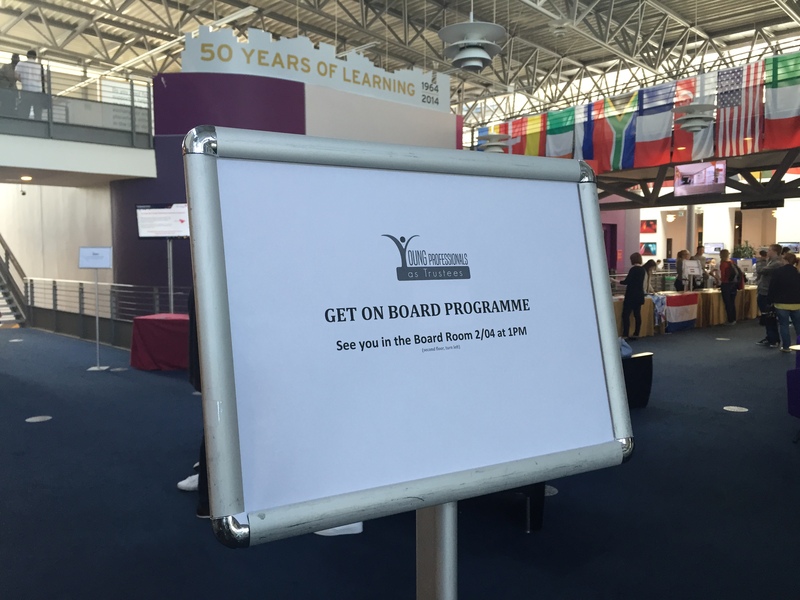 In 2013, our enterprising culture, led to the pilot of a new programme called ‘Get on Board’. The programme was set up in partnership with the Governance Forum (incorporates the ‘Effective Board Member’ curriculum) and a Young Trustees in Scotland group created by our students (now known as ‘Young Professionals as Trustees’). The Get on Board initiative demonstrates our commitment to instilling the University as a public good. This links to the University’s 2020 strategy in terms of Student Experience, which states that the University will provide “Support structures to facilitate and promote engagement with business, industry and the community across all subject areas.” Get on Board allows students to develop skills such as leadership and decision-making and make a positive difference to communities. First training and coaching programme of its kind to promote Trusteeship combined with a real board experience in Universities in the UK. Participants receive membership to the Association of Corporate Governance Practitioners (ACGP) and can gain professional recognition by sitting the ACGP examination. 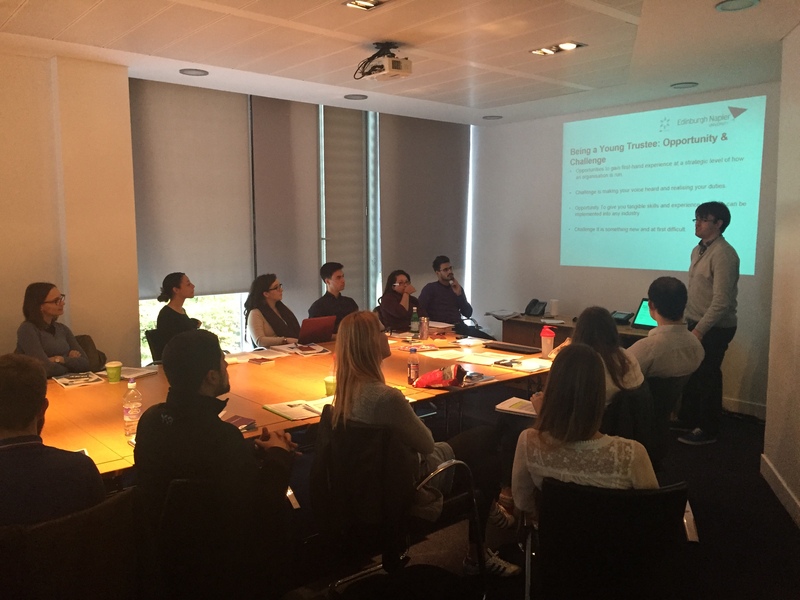 Young Trustees in Scotland (YTiS) network established by Napier students to act as partners and co-producers in developing and delivering the training. YTiS offer student-led sessions, a networking breakfast and in collaboration with the University Careers Service 1:1 coaching support. Pilot has been a success contributing in part to significant funding to develop a suite of board diversity initiatives to the public as part of a university campaign, including a postgraduate practice-based qualification in Governance in Leadership. Enhances community links, for instance, a strategic partnership with the Voluntary Action Fund, Scotland leading to a Knowledge Transfer Partnership Grant from Innovate UK and a research project with the Scottish Council for Voluntary Organisations. Supported by the Napier Student Association volunteering network “VBase,” providing students with access to board vacancies. This has led to fostering links to identify volunteering opportunities with selected community projects and charities. And, most importantly of all, to make a difference in the community and have a demonstrable impact on people’s lives. 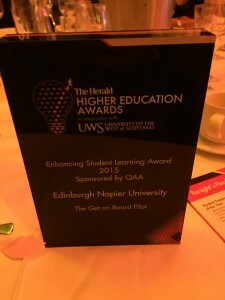 The true success in the programme to date is the sheer social capital nurtured by our students externally, opportunities to build unique skills that cannot be gained in the classroom and the impact they make as ambassadors for Young Professionals (champions of board diversity – age, gender etc.,), their charities and the University. For some time I’ve been meaning to get in touch. Community governance and effective boards are an interest of mine. I’d love to speak to you about possible partnership or collaboration with Cycling Without Age and the Abbeyfield Societies in Scotland. We are on the cusp of an alliance to combat loneliness and social isolation and refreshing our governance with young trustees interests us greatly. Can we meet up soon?